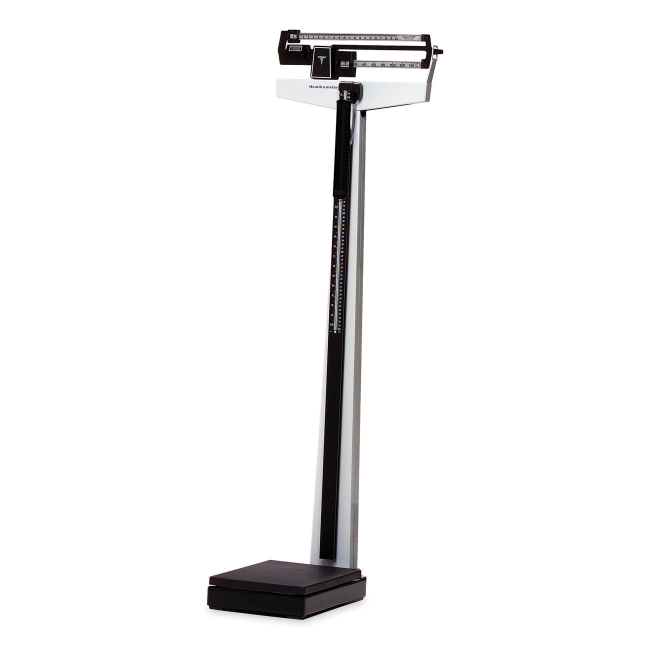 Scale with height rod features easy-to-read rotating poise bars that offer duel reading in engraved pounds and kilograms numerals. Imperial graduations are by 1/4 lb. Professional height rod measures from 23-5/8" to 84" (60cm to 213cm). Scale is factory calibrated. Platform measures 10-1/2" wide x 14" deep and has a black nonslip mat. 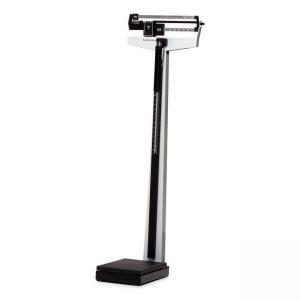 Scale is made of powder-coated steel to prevent rust inside and out for extended life.